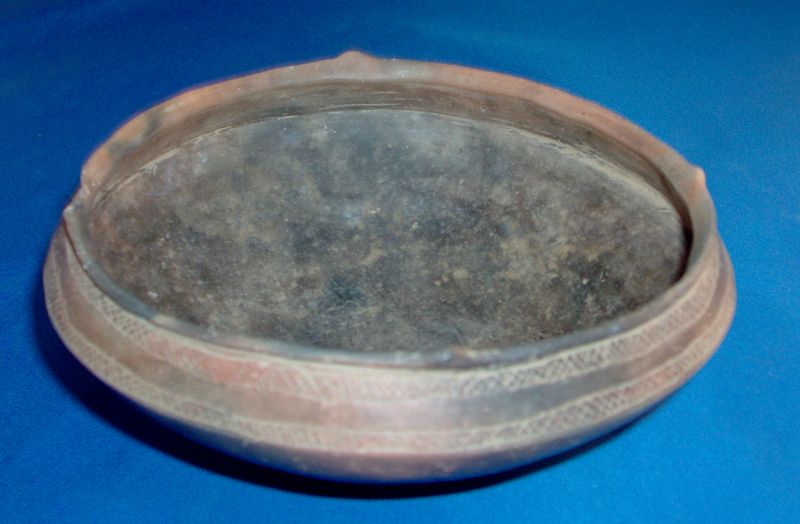 A Small Size, Very Well Made, Noded Rim Simms Bowl That Exhibits Surface Sheen And Clay Coloration Patina, Aged Open Pit Firing And Firemarking, Ancient Stone Burnish Finish, Surface Aged Grog Deterioration,Correct Material And Manufacture For The Area Found. Found On The W.B. Cabe Site By Hoy And Wilton Furr, Feb 26, 1977. Pictured In "Art Of The Ancient Caddo", Page 82, Fig. #164. Ex-Hoy & Wilton Furr, Ken Partain, Kevin Pipes, Tom Davis, Sam Johnson, Jack Bonds Collections. Includes A Ken Partain Certificate Of Authenticity!